The word ‘cha’ means ‘tea’ so by combining the two words together, ‘chatime’ could be loosely translated into ‘teatime’. But today, with over 1000 locations around the globe, Chatime means so much more than that. 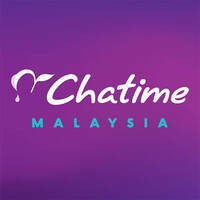 Chatime is committed to giving patrons a highest standard of quality in every drop of their bubble tea and tea-based drinks. They strive to ensure the freshness and flavour of every drink that is being made. Chatime would be incomplete without a hardworking team who are friendly and ready to help customers who are not well versed in bubble tea drinks.